Wild Times Project at Grand Central Art Center. When you have a friend hiking the Pacific Crest Trail—those 2650 miles from the Mexico-California border to the Washington-Canada border that cross 26 national forests, seven national parks, five state parks, and three national monuments—you assume their email account will be dormant for six months and they’ll be fairly impossible to reach, but you look forward to hearing all about their mountainous and soulful wilderness experience upon their triumphant return. Or, rather, that was the case 10-ish years ago, when wilderness meant no cell signal. Before smartphones and strap-it-on-your-pack solar chargers and Instagram. Last month Seattle-based artist Susan Robb completed her PCT hike, having been more than a little connected to the outside world. Since commencing her pilgrimage in April, Robb not only Instagramed and blogged her way up the west coast, she curated evolving art exhibits all the while. 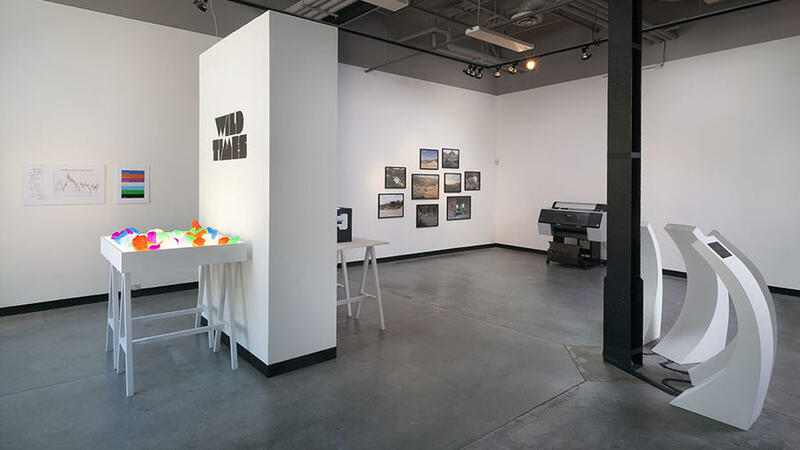 During her project called Wild Times, Robb used the trail as her nomadic art studio, periodically sending images, videos, and 3D files to west coast art venues (like the Tacoma Art Museum and the Palm Springs Art Museum) which then turned those transmissions (of picturesque landscapes, not-as-picturesque shelters, and other trail moments) into a evolving exhibits. My favorite part: Every week the “satellites” would receive a 3D scan of a rock Susan found along the trail which they’d then 3D-print in a color corresponding to the elevation of where it was found along her hike. Read Susan’s trail musings, sift (and daydream) through her photos, and see the art here.